School will be starting soon! Are you excited for your homeschool preschool or worried that you won’t be able to do it? Relax, you got this. Homeschooling your preschooler is easy to do, and you can make it an amazing and fun experience for you and your child with the following tips. If you aren’t sure here are some tips on how to homeschool your preschooler. After you have created your plan, adjust it as needed. Homeschooling is supposed to be flexible and fit the needs of your family. I know for myself I don’t want to have to create brand new themes each week. So I am doing a relaxed approach, and am only doing two themes a month. This gives us time to really go through the theme, and enjoy it. If you don’t have a schedule, I have one in my free preschool planner. Think about how many hours of the day you will homeschool, as well as what days of the week. I will only be homeschooling three days a week, for about 3 hours a day. The other two days of the week we will be doing extracurricular activities. I don’t mean that it has to be rigid, but treat it like a learning experience for your child. Remember the reason why you are teaching your child, and work on the math skills and reading skills for kindergarten. Remember that it is your homeschool. It is your homeschool so plan it for your children. When I chose my preschool themes, I chose things that my twins are truly interested in. For example, my son loves construction and our area is constantly building, so it will be an easy theme to teach for me. In order to have a great homeschool preschool, include extracurricular activities for your children. Think weekly library storytime or craft activities. The parks and recreation center usually has free and low-cost activities to join. My twins will be doing a cooking class, swimming class, and soccer. This will not only give them the chance to socialize, but also practice gross motor skills which are important for preschool development. At the end of preschool, your child should be ready for kindergarten. 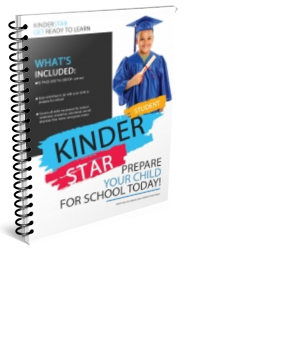 If you aren’t sure of what your child needs to do to prepare for kindergarten, get my free preschool planner which tells you all of the skills that you need to practice on. Think of simple places that you can go that relates to your theme. Besides the library, there are many places in the community that are free to visit. Even a trip to the post office can be a field trip and you can talk about mail, packages, and sending a letter. I also like seasonal trips such as the pumpkin patch, picking fruit, etc. Your child is still learning even if they aren’t at home. Remember that it should be fun. I plan painting parties, we use playdough to learn our sight words, and in general I just try to make our learning time fun. Although we do printable worksheets, I want the overall learning experience to be fun for my twins. In my ten plus years of teaching, I noticed that my students always learned more and were more engaged when I made it fun. So sing a silly song to practice counting, make up silly words that rhyme, just have fun! Don’t forget to include downtime in your schedule. Give your child time to play independently and explore. I am not always “teaching” my twins, instead I give them the freedom to play and create their own games. Even if they were at a traditional preschool, they would get time to move freely from each center area and play by themselves. As a stay at home mom it is sometimes hard to connect with other moms. So when you are out at storytime or an activity, take the time to connect with other moms. 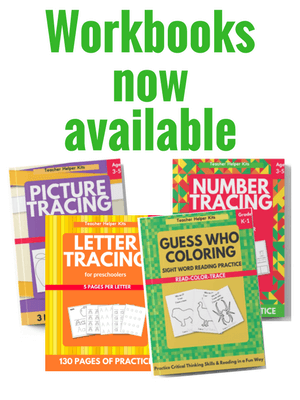 This will help you not only socialize your preschooler, but also make homeschool preschool fun for you as well. I love being able to connect with other moms and share the joys and struggles of mom life. Preschool activities at home should be fun and engaging for you and your child. Use these tips to have the most amazing preschool year for your child!